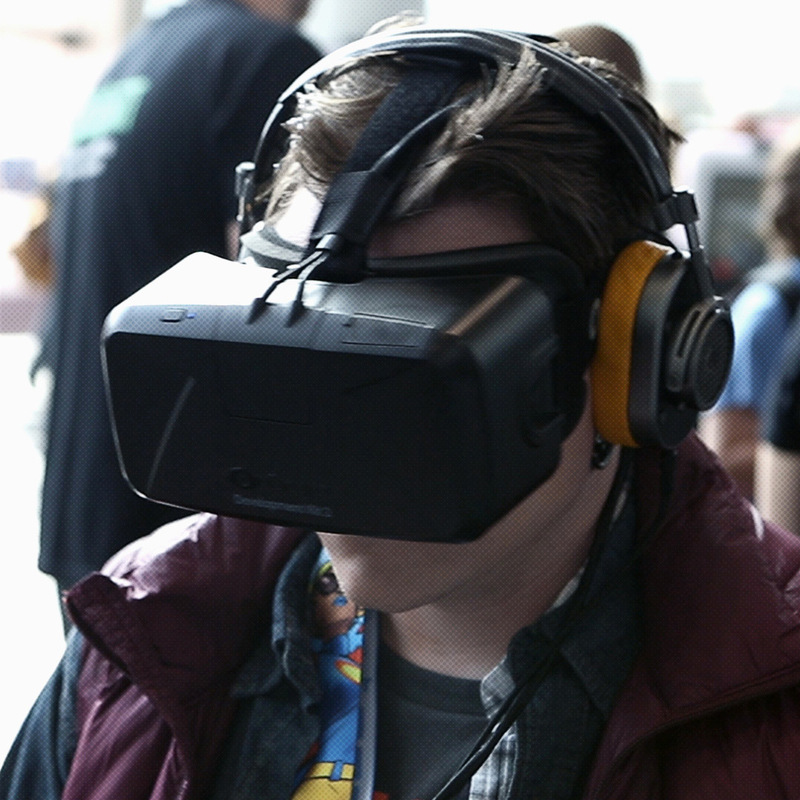 Acquiring a new audience of listeners through VR at Comic Con. How do you leverage VR to demonstrate the immersive nature of Audible? Enter the Wellhouse: The final experience elevates the original print and audio mediums to new heights, transporting fans directly into the story. Fan Fiction: We unveiled the experience at New York Comic Con attracting a whole new audience of listeners. 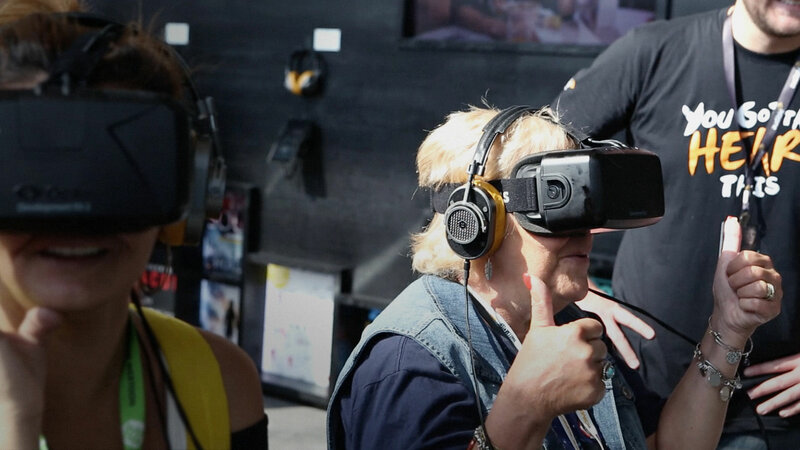 Shareable Content: The experience had a social share-out feature and was published on YouTube 360, extending its reach to fans who could not attend the event. One of the biggest challenges in bringing new listeners to Audible is the initial bias that audiobooks “aren’t really my thing.” This immersive medium is often overlooked by people who lack any experience with the platform. To get more people exposed to the joy of audiobooks, Audible decided to bring ‘Locke & Key’, an acclaimed graphic novel with a cult-like following, to life through a fully dramatized audio production. This title would bring a whole new audience of graphic novel fans to audiobooks. To give the release the splash it deserved, Audible wanted to create something special for fans. They asked us to create a VR experience that would bring the dark and spooky world of ‘Locke and Key’ to New York Comic Con. By matching the novel’s acclaimed artwork by Gabriel Rodriguez and adding binaural audio, we were able to take a completely static 2-D medium and transform it into a 360°, animated CG-experience that transports fans into the ‘Locke & Key’ world to relive a famous scene from the series. The experience features some of the audiobook’s all-star cast of voices, which includes Haley Joel Osment (“The Sixth Sense”) and Tatiana Maslany (“Orphan Black”). 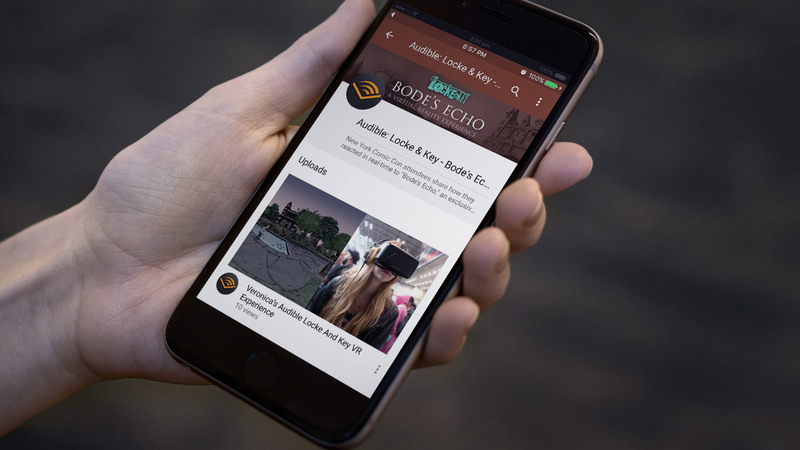 Over 2,000 fans were transported to the ‘Locke and Key’ universe and a share-out feature allowed them to post a split-screen video capture of their experience to their social networks, creating additional buzz. Meanwhile, fans that did not attend New York Comic Con could also relive the experience on YouTube 360 from a computer or mobile device. 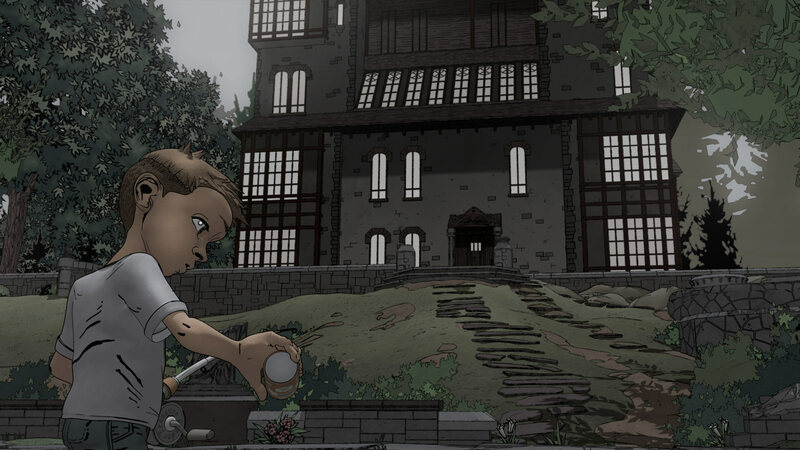 By matching the novel’s acclaimed artwork by Gabriel Rodriguez and adding binaural audio, we were able to take a completely static 2-D medium and transform it into a 360°, animated CG-experience that transports fans into the ‘Locke & Key’ world to relive a famous scene from the series. The experience features some of the audiobook’s all-star cast of voices, which includes Haley Joel Osment (“The Sixth Sense”) and Tatiana Maslany (“Orphan Black”).